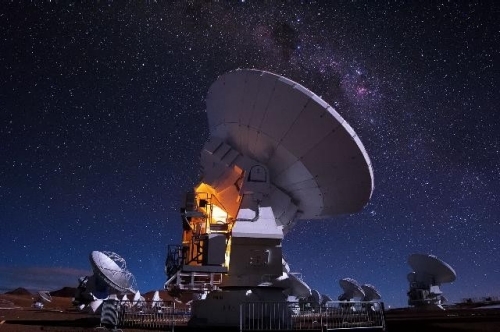 On 16 December 2016 the ALMA website released a pre-announcement of the Cycle 5. The proposal deadline will be on 20 April 2016. The observing Cycle will start on October 2017 span 12 months. The Cycle will offer 4000 hours on 12-m Array time and 3000 hours on the Atacama Compact Array (ACA). Cycle 5 will offer the same proposal types as in Cycle 4. 1. Band 4 polarization: Proposals will be accepted for Band 4 observations in all available polarization modes. 2. Band 5 observations: Proposals will be accepted for spectral line (12-m, 7-m and Total Power arrays) and continuum (12-m and 7-m arrays) observations in Band 5. Proposals will be accepted for Band 5 observations in all available polarization modes. The Fundação para a Ciência e Tecnologia (FCT) will open a call for PhD and Post-Doctoral fellowships, from 15th June to 15th July 2016. The positions are for up to 4 and 6 years, respectively for PhD and Post-Doctoral applications (tuition fees are covered in the case of PhD fellowships). The selection is done by FCT. The Instituto de Astrofísica e Ciências do Espaço (IA) welcomes pre-applications until June 30th, 2016. More details in the IA announcement page. We are happy to note the increased interest ALMA has on the portuguese astronomical community. The latest Call for Proposals closed on the 21st April 2016, and resulted in over 1600 proposals from all over the world, with almost 60 being PI’ed or co-I’ed by researchers working in Portugal. These proposals are distributed over the Science Categories “Cosmology and the high redshift universe”, “Interstellar medium, star formation and astrochemistry”, and “Circumstellar disks, exoplanets and the Solar system”. This is a robust increase over the submission for Cycle 3, which resulted in 8 proposals with a portuguese participation being accepted. We will be on the lookout for the outcome of the review process in August. The ALMA Cycle 4 Call for Proposals is now open until 21st April 2016. This cycle will run from October 2016 to September 2017. Check the call webpage for more detailed information including new array capabilities. Note the menu side bar where one will find key guiding documents and tools such as the Proposer’s Guide, the Proposal Templates, the Observing Tool, a web-based Sensitivity Calculator, or the always helpful ALMA Primer. Should you need any help, do not hesitate to contact us by any of the available means. Also, stay up to date by subscribing to our mailing list (check bottom left corner in our homepace). The call for 1mm Very Long Baseline Interferometry (VLBI) proposals to use phased ALMA at Band 6 in Cycle 4, in collaboration with the Event Horizon Telescope Consortium (EHTC), will be released to coincide with the ALMA Cycle 4 Call for Proposals in March 2016. The EHTC is expected to comprise the Submillimeter Array, the James Clerk Maxwell Telescope, the Submillimeter Telescope, the Atacama Pathfinder Experiment, the South Pole Telescope, the Large Millimeter Telescope Alfonso Serrano, the IRAM 30m telescope, and an antenna from the Northern Extended Millimeter Array.